Goalkeeper Annabel Sweeney has joined the WPSL Bluebonnets for the 2017 Season TTi Announced today. 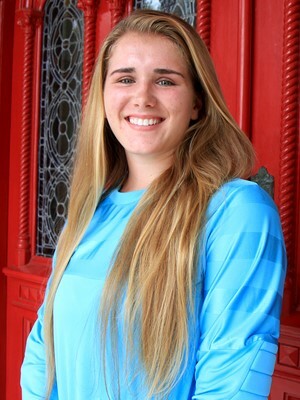 "Annabel is a fine goalkeeper that will bring depth and college experience to the squad" Said Haley Carter TTi WPSL Player/Coach "I have known Annabel a while and worked with her and know her work ethic will be second to none" Carter finished. nnabel currently plays her soccer for the Hilltoppers at St. Edwards University in San Antonio, TX. Welcome back to Houston Abby!